The Holy Cross Anglican School recently received 24 solar panels to assist in offsetting its annual electricity costs. The project came about through the efforts of Mr. John McHenry, who is the project manager, on behalf of the Holy Cross Education Foundation. The Holy Cross Education Foundation (HCEF) is a fundraising organization based out of the United States, which functions to raise money for Holy Cross as well as other schools in the country. According to Lydia Brown, Volunteer Coordinator at Holy Cross, the Foundation was launched to primarily help reduce the school’s dependency on donations. The panels were paid for through donations from Global Giving, then purchased from and installed by Baker Renewable Energy, which is a division of Baker Roofing Company in the US. 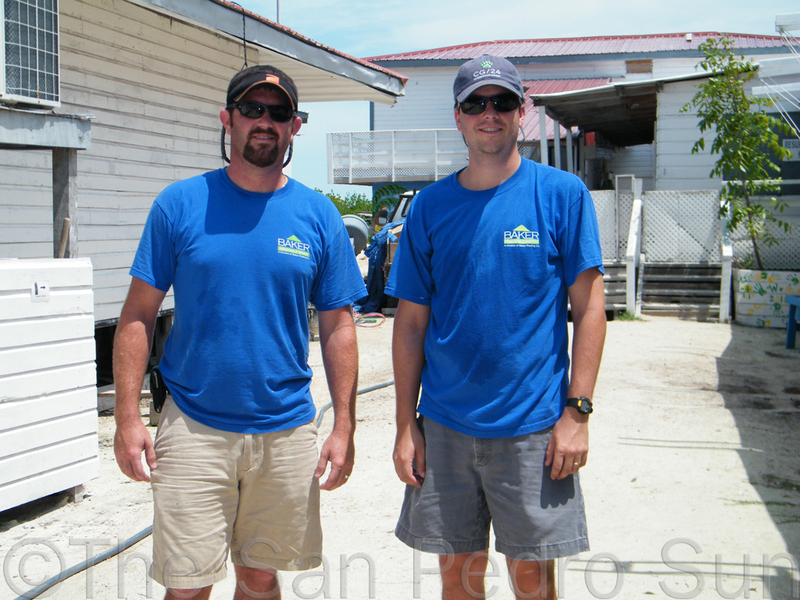 Alec Scheaf, Business Development Manager and Bobby Eiseman, both of Baker Renewable Energy were onsite to install the donated panels. According to Mr. Scheaf the panels will offset about 30 – 35% of Holy Cross’s annual consumption, producing about 5800 – 6000 kilo watt hours of electricity per year. This was not the first trip that the company has made to Holy Cross. They were here earlier this year when they helped make changes to the roof in order to mount the panels. 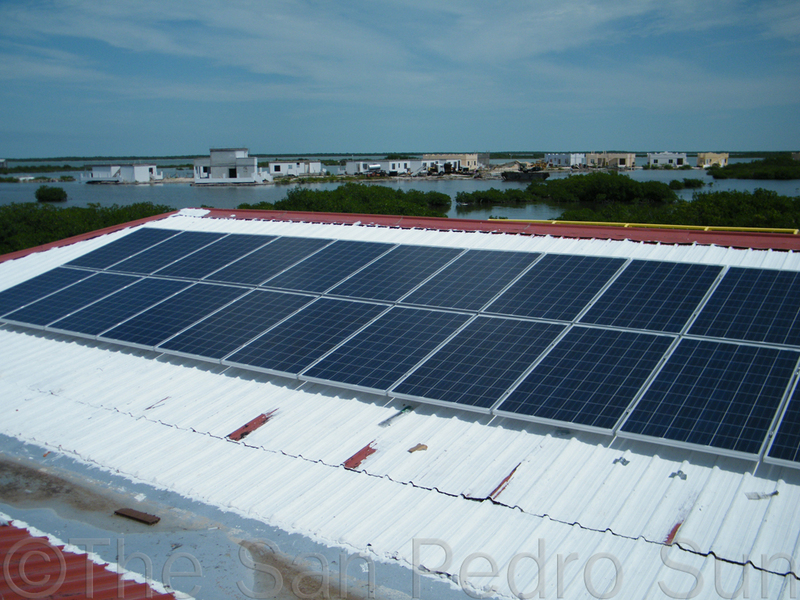 The panels were manufactured by Canadian Solar. Ms. Brown informed The San Pedro Sun, that, “All funds for this project were raised through Global Giving. There were over 200 donors, many of them from St Stephens Church in Edina, Minnesota US who are long time supporters of the school”. On an average, the solar panels will save the school over $1,000 per month in electricity costs. At an estimated cost of about $33,000 US Dollars, the solar panels are expected to last at least 25 years and will function at about 80% capacity throughout their lifespan.